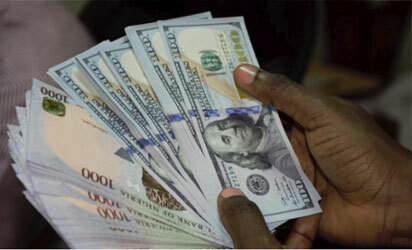 The Naira on Tuesday strengthened against the dollar at the parallel market, reversing one week of depreciation. At the Bureau De Change(BDC) segment, the Naira was sold at N360 to the dollar, while the Pound Sterling and the Euro closed at N485 and N414, respectively. Investors at the Import and Export (I &E) window bought the dollar at N364.83 with a market turnover of 24.01 million dollars. Trading at the official CBN window saw the dollar closing at N306.85. Meanwhile, Alhaji Aminu Gwadabe, President, Association of Bureau De Change Operators of Nigeria (ABCON), told newsmen that the CBN’ special intervention at the foreign exchange market was yielding positive results.